The NH Brigade is a professional indoor football team making their debut in Manchester, NH in April 2017. Playing in the CAN-AM Indoor Football League, the NH Brigade will play all homes games at the JFK Arena in Manchester, NH. The mission of the NH Brigade football team is to provide a unique and exciting indoor sport to the city of Manchester. We will provide the community with affordable, family friendly entertainment that they will return to time and time again. We will endeavor to elevate the talent, skill, and professionalism of the athletes, while always aiming for the top. 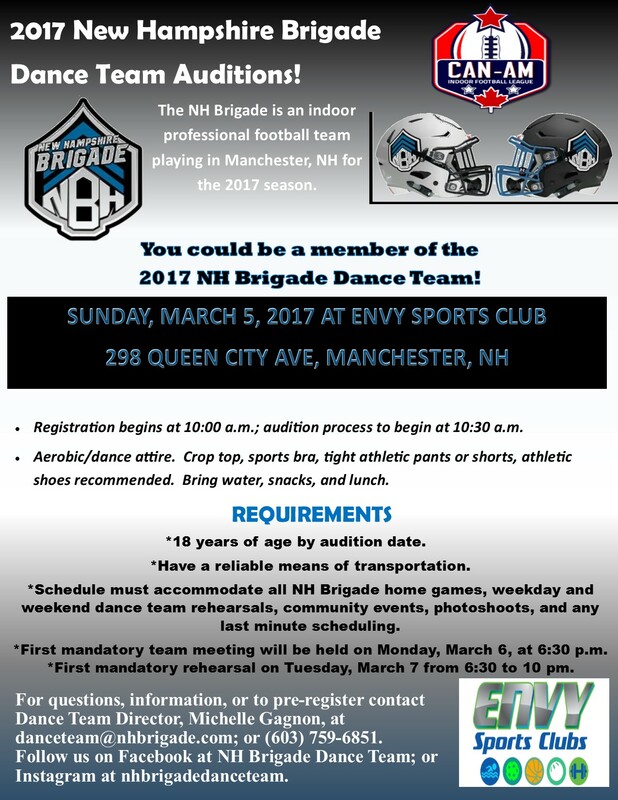 The team will be holding auditions for the NH Brigade Dance Team on Sunday, March 5, 2017 at Envy Sports Club in Manchester, NH. Registration begins at 10:00 a.m. Under the Direction of 3 former New England Patriots Cheerleaders, Michelle Gagnon, Britni Soryal and Athena Lazo, the team will be comprised of 15 to 20 individuals who will not only be performing at every NH Brigade home game, but will also be interacting with fans during the game, making appearances in the community, and will be ambassadors for the NH Brigade organization. 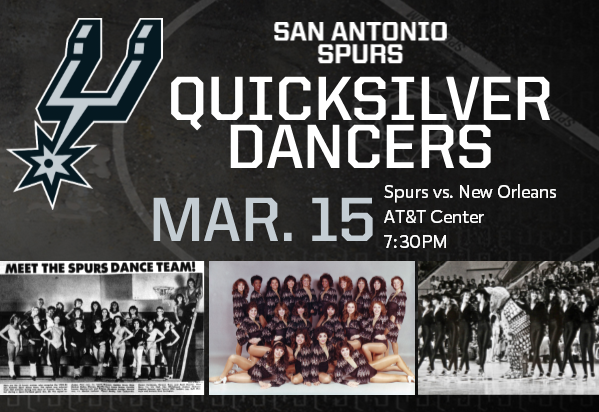 The Dance Team will be helping to bridge the gap between the fans and the organization while helping to create the ultimate fan experience. This is a great opportunity for anyone in the area that loves to dance! For questions or more information, contact the Dance Team Director at danceteam@nhbrigade.com. Visit http://www.nhbrigade.com/ dancers.html. Follow the Dance Team on Facebook at NH Brigade Dance Team or Instagram at nhbrigadedanceteam. Richmond, Virginia has always been a bit small for a major league team, but the Richmond Raiders were blessed with a top tier major league quality dance team, coached by former Washington Wizards Dancer (2000-2003, Captain) and Washington Redskins Cheerleader (2005-2012, Captain) Kelly Allen. 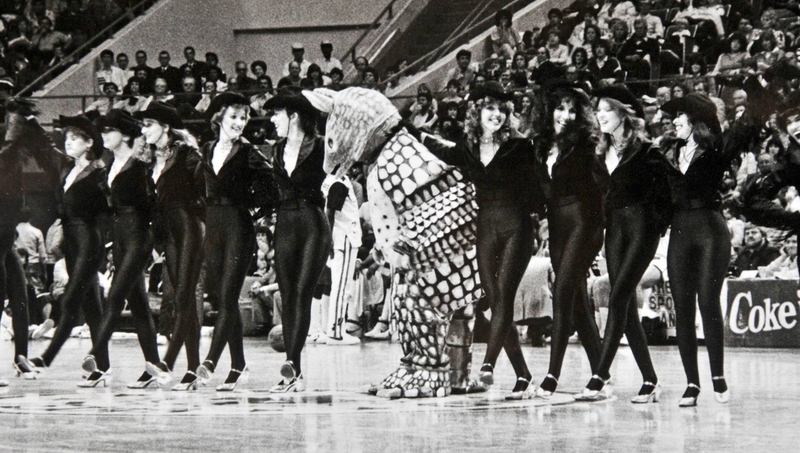 Well, in the topsy turvy wacky world of indoor football this spring, the Raiders are no more, but Richmond has a new indoor football team in town, and Kelly is now the Director of the RoughRiders Dance Team. Great news! Information about the prep classes (December 15th) and auditions (January 7th) are included in the graphic above, and we were thrilled to feature Kelly, singing her praises, at this link, previously at UltimateCheerleaders. Story link and video link. Lauren Madden’s parents got cancer at the same time. Now cheering doesn’t seem quite as important as her new job. The nurses were like angels. Lauren Madden noticed that about them. Their goodness and their gentle, kind spirits. She noticed the angels because they really didn’t belong where she was — going through hell. It was five years ago, when Madden was working in a mortgage department, a cheerleader for the Indianapolis Colts — and her father was diagnosed with aggressive duodenal cancer. Six months later, her mother was diagnosed with uterine cancer. These two medical professionals from Greenwood — her dad, Tom Madden, an ER doctor; her mom, Terri, a surgical tech — found themselves in hospital beds, needing someone to take care of them. And as Lauren Madden sat there, she saw the nurses care for the two people who meant the most to her in the world. She immediately applied to nursing school. Terri Madden, now cancer free, got to see her daughter graduate as a registered nurse in 2014. Tom Madden didn’t. He didn’t get to see her following in his footsteps, in an ER department. He died four years ago on Aug. 8. As Madden tries to carry on the legacy of her dad, she’s made her own sacrifice. After five seasons as a Colts cheerleader, she put away her boots. Working 12-hour shifts, caring for sick children is her focus now. But she does have the Colts to thank for living out this very important dream — being one of those angels like the ones who cared for her dad. It was the Colts’ annual visit to Riley, when players, big-name players such as Andrew Luck, visit the patients, hand out presents and sing Christmas carols. Madden — a musical theater performer who at age 9 played Brigitta von Trapp in the Broadway production of “The Sound of Music,” touring 49 states and Asia — was thrilled. But this year, Madden was even more excited. She had decided that with her nursing degree in hand — and already working in ER at St. Francis hospital — she would go for her dream job. After singing songs from “How the Grinch Stole Christmas” and seeing the children smile, Madden still hadn’t gotten up the nerve to mention to any of the hospital staff what she wanted. Lucky for her, a man named Paul Haut heard her loud and clear. Dr. Haut, the chief medical officer at Riley, was there to see the caroling Colts. When he heard Madden was a nurse, wanted to work at Riley and was already in the ER, he pounced. Madden seemed to have what it took. Haut could tell that right away, so he did something a little unusual. On the spot, Haut called the manager of the ER and told her he thought he had someone to hire. The manager came down and conducted an impromptu interview with Madden, still wearing her caroling hat and uniform. A few weeks later, Madden got an official interview. Haut didn’t hear how it all turned out until March, when Madden started at Riley. Haut was wandering around the ER and saw that Colts cheerleader. They’re at the secret treasure chest — Madden and Nevaeh DeVault, 5. Nevaeh is in the ER, nervous, and Madden is helping her pick out a treat. Nevaeh finally settles on a pink monkey that she decides to name “Monkey.” Madden smiles. “I love it,” she tells her patient, as if it’s the most original name there is. Madden loves the kids. She loves singing the ABCs and classic Disney songs and popular favorites like “Let It Go” from “Frozen.” She’s helped many a kid get through a scary time singing by their bed. That’s what brings the patients and their families comfort. That’s what Madden’s mission is. Yes, she’ll miss being an NFL cheerleader. Madden knows she will be wishing she were on the field this football season. She still follows the Colts cheerleader Facebook page. But it was her choice to not try out for the 2016 season. The decision wasn’t all that hard. She often thinks back to her days growing up in Greenwood, sitting around the dinner table with her dad telling stories of the ER. She remembers his cool demeanor that calmed the chaos of the department at Bloomington Hospital of IU Health. Tom Madden may not have gotten to see his daughter graduate, but as he lay in the hospital tended to by nurses, he knew his daughter would soon be one of them. Redbook magazine is running it’s 3rd annual “Real Women Style Awards” contest. Readers were asked to submit their best, most stylish photo for the chance to be on the cover of the magazine. Six women will front the September issue, as a homage to real women (not celebrities, not models) who are stylish in their everyday lives. Redbook narrowed the entries down to 25 finalists, and has opened the competition up for public voting. One of the ladies in the running is wife, mother, educator, former Sacramento Kings Dancer and former Dallas Cowboys Cheerleader Sasha Agent. With almost 17,500 votes (as of right now), she is on the leader board, but every last vote helps. Click here to see the finalists and vote for your favorite. Voting is open until May 10. You can vote once each day. ST. LOUIS, MO. (KTVI)- A former NFL cheerleader and Fitness Universe champion has developed a book for light and healthy meals for families and those constantly on the move. 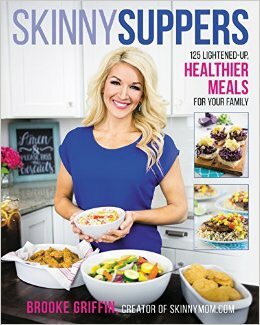 Brooke Griffin has written the book “Skinny Suppers: 125 lightened up, healthier meals for your family” in the hopes of creating simple recipes that are also waist-friendly and tasty. Most of the meals in the book are under 350 calories per serving. Griffin’s website, SkinnyMom.com features pages of healthy recipes and articles for healthier living. During her time in the NFL, Griffin was a cheerleader for the Cincinnati Bengals. All recipes in the book feature ingredients that are quick to prepare, making it easier for busy parents to create healthy dishes for their families. Sasha sidebar: The book is also available on Amazon. Brooke was a Ben-Gal 2006-09, and won Miss Fitness Universe in 2009. Sloane Heffernan, born and raised in New Bedford, MA, was a New England Patriots Cheerleader in the early 90s. Her years with the Patriots set the stage for the rest of her professional life. At just 18 years old, she was the youngest woman to make the team. She had just graduated from high school and didn’t have any immediate plans to continue her education. “The intelligent, ambitious, and confident women that I met on the squad empowered me to go back to college and become a journalist”, said Sloane. She attended Emerson College in Boston and had her first internship in the sports department at WBZ with Steve Burton. She later went on to cover local news at NBC affiliates in Fort Myers, FL, Albany, GA, and, currently, Raleigh, NC. Sloane recently won an Emmy Award for breaking news coverage in North Carolina! In addition to enjoying incredible professional success, Sloane is happily married to the man she was dating back when she made the squad in 1990! They have three beautiful children together, as well as an English Bulldog named Rosie-Belle. There’s a cheerleading group in town — and they need a little L-O-V-E.  The Special Olympics Brevard cheerleading team seeks members, volunteer coaches and community support. So says Joanna Kiel, head cheerleading coach. The 28-year-old former Baltimore Ravens cheerleader coached a Special Olympics cheerleading team in Maryland. One of her favorite cheerleaders was her youngest sister and biggest fan, 23-year-old Lexi Tippett, who has Down syndrome. Sign-ups begin Feb. 2 at the Special Olympics Brevard office in Rockledge. For the 2015 season, there were eight girls on the team. Currently, there’s almost 20, and many more are welcome. Kiel’s Maryland team had more than 60 cheerleaders. “Special Olympics Brevard has many, many sports that I don’t think people are aware of,” Kiel said. In addition to growing the cheer program, though, she hopes the team will make it to the ESPN Wide World of Sports in Orlando for the state championships in the fall. Boys and girls are needed for the Special Olympics cheerleading team — any age, any skill level, any ability. • Transportation: Travel could be an issue for someone with special needs. “If we were able to help get the funds to help transport (children with special needs to) the competition, that would be amazing,” Kiel said. • Donations: Funds raised will go toward cheerleading uniforms, hair bows and tennis shoes. • Volunteers: With Special Olympics, usually four or six coaches are needed per team — a cheer and dance background isn’t required. Also, students who need service hours could volunteer. Thanks to her NFL cheerleading days, Kiel knows all about the adrenaline that comes with performing for large crowds. But nothing beats the experience of seeing her sister, Lexi, put on a cheerleading outfit and perform. The first full practice for the Special Olympics Brevard cheerleading team is set for Feb. 16 at Freedom Athletics in Rockledge. GLENPOOL — In winning the title of Miss Oklahoma USA, Taylor Gorton earned a crown, a sash and a platform that allows her to reach many people — maybe even the Hanson brothers? In 2010, when Gorton was a National American Miss Teen, she told an interviewer her favorite childhood memory was attending a Hanson concert in Tulsa. It was her first concert. Her mother, Starla, found a way to finagle tickets to a sold-out show. “I literally thought my mom may have either worked for Santa or was a miracle worker of some sort,” Gorton recalled. Maybe Gorton’s new title will give her the necessary clout to be introduced to the boys in the band. Would she like to meet them? Absolutely. Of course she would because she’s a character. Gorton ventured to a fire station in Glenpool (her father, Tom, works there) for a photo shoot, flexed her personality and seemed to immediately take command of a room where folks were hanging out between emergencies. She briefly swapped her Miss Oklahoma USA crown for a fireman’s hat. It’s possible that the crown may have wound up on the heads of firemen. She hung out with the fellows and took questions about things like when the 2016 Miss USA Pageant (won last year by Oklahoma’s Olivia Jordan) will take place. Stay tuned. She said her fiance got a little intimidated when he met all the huge-and-buff firemen who double as her “second” dads. Supposedly, they used to scare away boys who were interested in her. Growing up around all that testosterone paid dividends. Gorton is a former in-house reporter for the St. Louis Rams and the locker-room-full-of-guys environment was old hat. She’s also a former St. Louis Rams cheerleader and a past and present lover of scavenger hunts. Sample scavenger hunt item: Go to Wal-Mart and find an employee with a “Dave” nametag. Take a picture with Dave, and you’re good to go. Gorton said she sent her fiance on a scavenger hunt during a trip to Los Angeles. If he had balked, that would have been a bad sign, right? The new Miss Oklahoma USA claims she never had a chance to rebel while growing up in Glenpool. If something happened at school (not that she would ever get in trouble for, you know, being too chatty), Mom probably knew about it before school was out because news circulates quickly in a small town. Plus, Mom co-owns a hair salon, which, true to stereotype, can be a communication center. Gorton said she loves her mom’s “gossip squad.” It’s a term of endearment. Gorton said the females who worked at the salon were role models who showed her a thing or two about work ethic. Gorton’s footwork was good enough to make her a school record-holder in the 400 and an annual participant in the state high school track and field meet. She also was a cheerleader and a wrestling “mat maid,” which she compared to being a manager. Gorton said she was going to run in college, but she instead focused on academics at Lindenwood University in Saint Charles, Missouri. Schoolwork came fairly easy. She got a little bored. So, what else could she do? 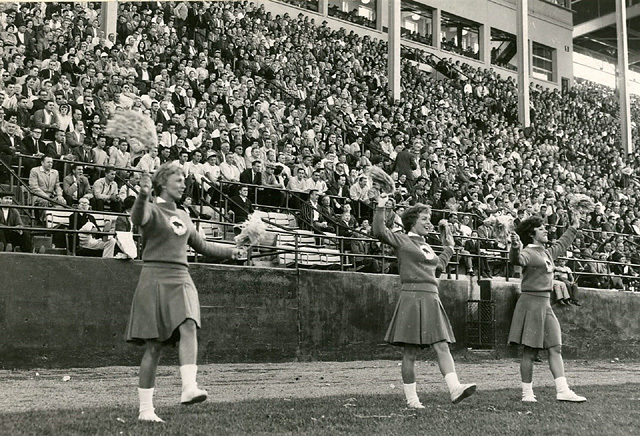 An NFL franchise was in the vicinity, so she tried out for the cheerleading squad. She was a Rams cheerleader during her sophomore and junior years at Lindenwood. Among perks: She flew to Hong Kong to participate in a parade, and she twice visited London. During an interview while in London, she talked about the many things she loved in England, but the only segment of the interview that aired was a clip in which she talked about how she couldn’t get enough of the porridge. A journalism major with an emphasis on sports broadcasting, Gorton is comfortable being the person who asks or answers the questions. At one point in her life, Gorton wanted to be Katie Couric, Version 2.0. She took a year off from the Rams and moved to New York for six months to intern for a CBS vice president. While there, she said veteran journalist Bob Schieffer looked her dead in the eye and asked if she was ready to miss time with her kids to do this. Gorton was only 22 at the time and she was thinking about a career, not a family. But his words opened her eyes to the sacrifices you have to make to be at that level. She said she’s all about sacrifice. But she would prefer to make those sacrifices in sports journalism, where at least there are off seasons and you can perhaps take your kids to school and go to their soccer games. Gorton returned from New York and became an in-house reporter for the Rams while also handling marketing and branding chores. Now 24, she said there is more to her than meets the eye. For instance, on a second date with her fiance, she wanted to go fishing. 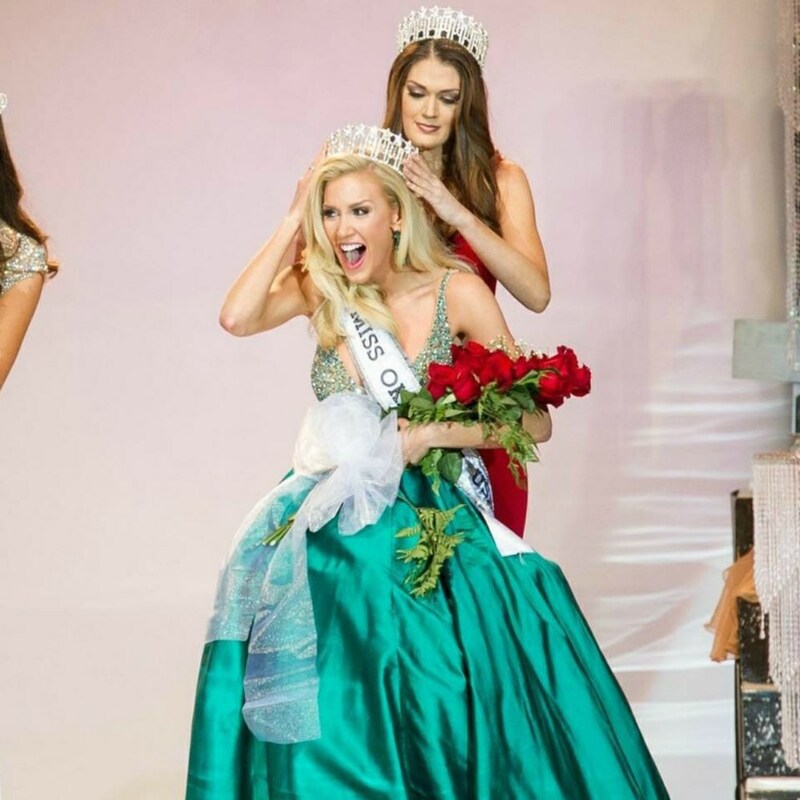 Sometimes there’s a stigma that comes with a “pageant girl” label. Gorton is a former National American Miss Junior Teen, a former Miss Oklahoma Teen and a former National American Miss Teen. She carries the “pageant girl” tag with pride. Gorton, who feels it is important for females to encourage one another, described herself as a “girl power” female. If a recent publicity session is an accurate indicator, she enjoys powering up and generating buzz. A bit later, she was told the photo shoot is over, unless she wants to ham it up. 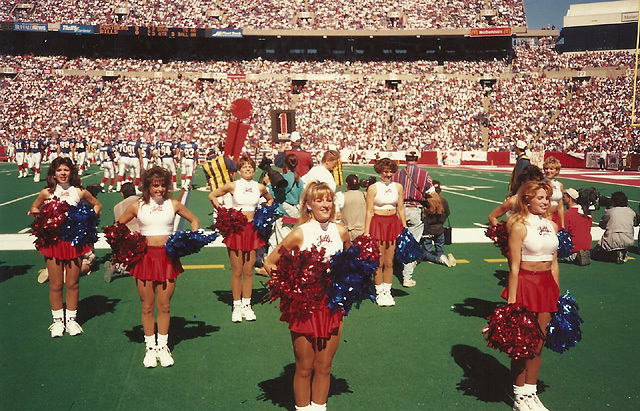 What did you learn about being an NFL cheerleader that you didn’t know until you did it? The word “cheerleader” as a whole is very misleading. It is such a dance team and it was really a Christmas miracle that I made it because I had no prior dance training. Also, I understand that a lot of people think that they are underpaid or that we were underpaid. To be honest, the pay isn’t that of an NFL football player. However, I truly went into it expecting nothing and feeling entitled to nothing, and I came out with the most incredible experiences (including visiting foreign countries). You can’t buy that kind of exposure, right? Whatever the pay was, nothing would have accumulated to the experiences that I actually gained. I think that’s what people don’t know is it allows you to have invaluable experiences, not just with a crop top and a mini skirt, but experiences which carry you through talking like this or anything that you are going to do in your life. You created your own company? It’s called Pink Door productions. We don’t have a website. It has been all word-of-mouth. I haven’t had a chance to get a website up because I have 40 clients in six states now. It’s female-oriented communications. Another thing I learned at CBS is females, because the VP I worked under was the first female VP, I worked specifically for her as her intern, and I can’t begin to tell you how telling that was as far as corporate America and the perception of a powerful female and just the psychology behind that. I saw a huge need and necessity to kind of bridge that gap. … I’m going to start working with some of the NFL cheerleaders for on-camera purposes. … And then I’m also working with pageant girls because I think there is a huge stereotype there of maybe a lack of substance or whatever the case may be. Is there anything about you that is uniquely Glenpool? When I lived in New York, I was told, “Lose the Oklahoma.” And I looked at the VP of CBS and I said, “I can’t.” It’s so deeply embedded in me, and what’s great about that is I am steadfast whether it be in wanting to find Dave at Wal-Mart (while scavenger hunting) or that interpersonal connection and that human-to-human contact, I think Glenpool is great at that. Glenpool is a small community that is invested in each other, and I think I’m very much invested in whoever is around me and I learned that from growing up here. Do you respect your dad for being a fireman? I think the thing that these men do and the selflessness — obviously it’s a job and I understand that everyone has a career and needs one and that’s just the way the world works, but not everyone could be a fireman and not everyone is equipped with the emotional strength and physical strength to be one. And the things they see … My dad doesn’t talk about it because he doesn’t want to bestow that burden of maybe a wreck or something that he has seen on us and let us carry that weight, so the weight that they carry and what they do for the community around them, the safety net they provide, is absolutely not only selfless, but also incredibly encouraging and comforting. Michelle Nigro, a Swampscott resident, is teaching a new barre class at Studio 21 in Swampscott. 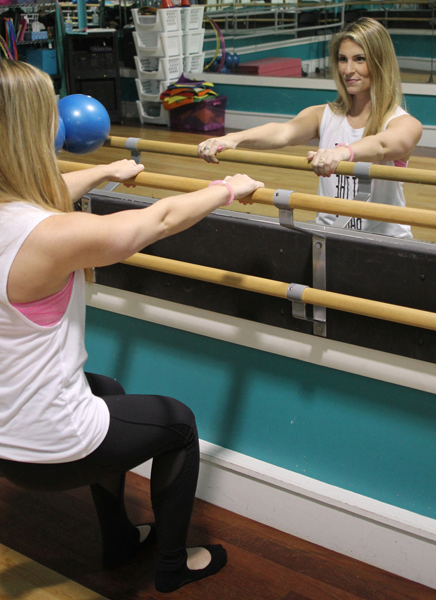 SWAMPSCOTT — A former New England Patriots cheerleader and longtime fitness enthusiast has opened up Town Barre, a new fitness business, with rented studio space for classes in both Swampscott and Marblehead. Swampscott resident Michelle Nigro, 25, got certified as a barre instructor over the summer and opened up her new business in October. She teaches four classes, with plans to double that number as her business grows. Nigro doesn’t have her own studio yet, but rents out two studios. She holds two classes a week at Marblehead Fitness Center and two at Studio 21 in Swampscott. She’s at Studio 21 Monday at 7:45 p.m. and Friday at 6 p.m. She teaches in Marblehead on Wednesday at 7 p.m. and Saturday at 10 a.m. The method of barre Nigro teaches is the Bootybarre method, which she said is being taught and trained with fitness instructors all over the world. Nigro said Bootybarre is a proven method that uses larger and smaller movements. She said the barre, light weights and resistance bands are incorporated to work the arms, legs, buttocks, back and a person’s flexibility. She said barre, which she describes as a combination of dance, pilates and yoga, has become a “fitness craze” because anyone can do it at any age or fitness level. Nigro said during the low impact workout, a person would do plie movements on the barre, along with lunges and squats. Nigro, who was a cheerleader for the Patriots for four years, with her final game at last year’s Super Bowl, said she first started taking barre classes with her teammates and got hooked. After some research, she found she could get certified and become a barre instructor. “The older I get, the more I’m realizing if you want to do something, now’s the time,” Nigro said. Nigro said another draw to the barre trend is that the classes are “a lot of fun,” but still help people stay in shape. She said barre is also easy to learn, with her clients usually catching on quickly. Business is growing. Nigro outgrew her first studio space in Marblehead before moving to Marblehead Fitness Center, which is the larger of her two current studios. Her Marblehead studio can hold up to 18 people per class, while Studio 21 in Swampscott can only hold six to nine people. Nigro currently has 75 clients signed up in her system and has about 25 regular clients. She said the number of clients who signed up with her “blew her mind,” as she’s only been in business for three months. As her business continues to grow, Nigro said she plans to double her class sizes from four to eight within the next month or two. She is considering hiring an employee, as she currently runs the business and teaches all of her classes on her own. 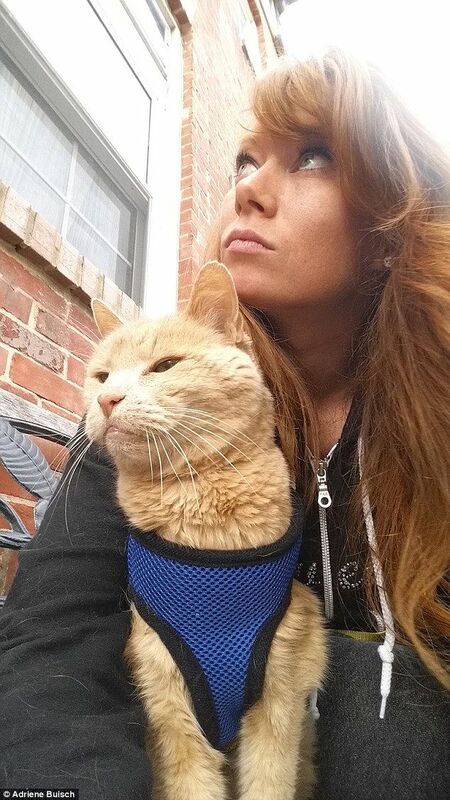 A former cheerleader who rescued an elderly cat from a shelter has created a bucket list for him to help him enjoy his final months. Adriene Buisch, 31, a marketing coordinator at Charm City Veterinary Hospital and former Baltimore Ravens cheerleader met 21-year-old Tigger after learning about him on a community Facebook page. The senior, ginger cat had been abandoned at a Baltimore shelter where he was unlikely to be adopted due to his age. If Adriene hadn’t found him, it’s likely he would have been put to sleep. But lucky for Tigger, the 31-year-old was utterly charmed by him and took him home to live with herself, her boyfriend and their other six-year-old cat Stuart. But the old boy had matted fur, and was very thin for his size and, despite them putting him on a diet to gain weight, was guzzling around a gallon of water per day. So, Adriene took him to the vet to have him checked out. Sadly, she was informed that poor Tigger was deathly ill. His kidneys were failing and they subsequently discovered that he had a tumor the size of a golf ball. The vet asked if, knowing all this information, that Ariene wanted to keep him. Her answer was an emphatic yes. ‘Though he is in kidney failure and we found a tumor, he kicks it like a 12-year-old. So we created a bucket list for our old man Tigger,’ she said. On Thanksgiving weekend the little family took a trip to Bethany Beach in Delaware, which has been his favorite trip yet. Upcoming plans for the aging feline include a trip to Florida to visit family over the Christmas holidays.